Recently worked on a requiement on InfoPath 2010 custom form. 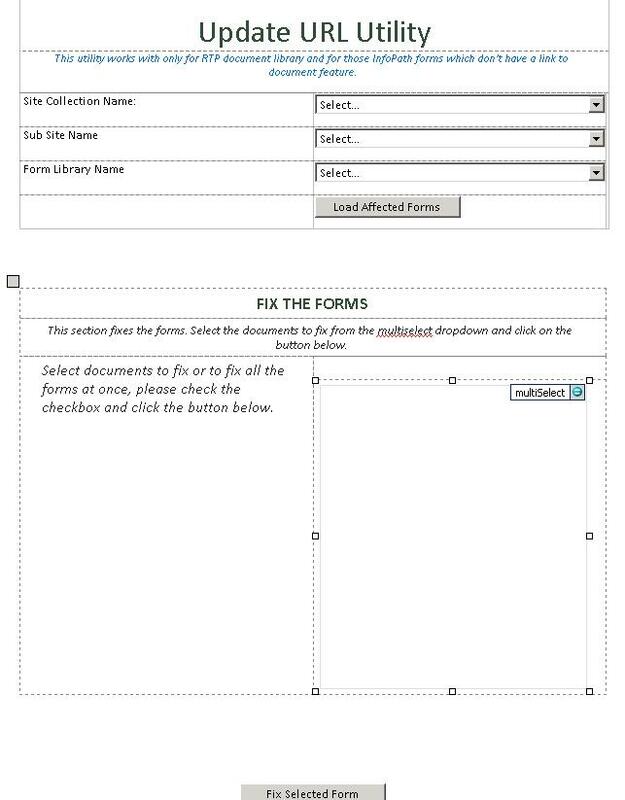 User already submitted customized InfoPath form in from library. Using Upload Control, user have uploaded the documents on Form and not submitted these forms in document library. We need to generate a URL on existing textbox after getting the document name from this attachment control and concatinte this document name wiht the document library URL for all 400 forms. I created a customized InfoPath forms and published it to each environment. 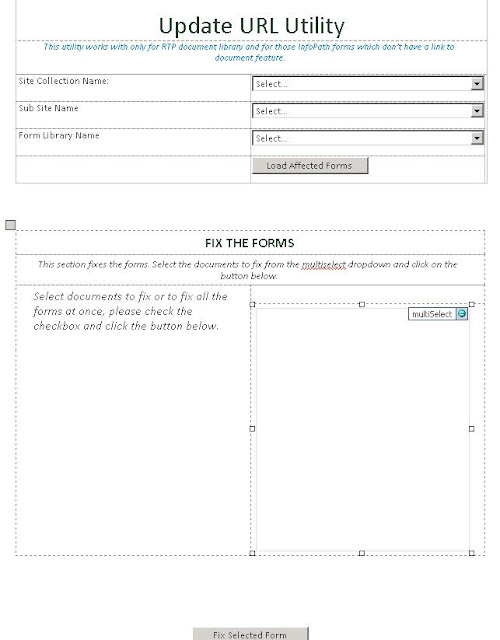 User can select the SPSite, SPWeb and Form Library from the dropdown. Search for all the forms in the library which needs to be fix. Load these form in a multi select box as a datasource and user can select from the UI to fix the form. Also reference: To handle the attached file operations. // TIP: Loading a generic list. // This loaded as a datasource for the multiselect dropdown. // TIP: InfoPathAttachment Decoder Class to get the attached file on attachment control in my case. Note: This is not the complete code as implemented, for complete code please mail me on suneet_sharma@yahoo.com referring this post. Why people don't click on Google ads below?